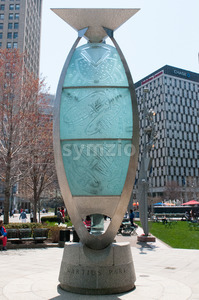 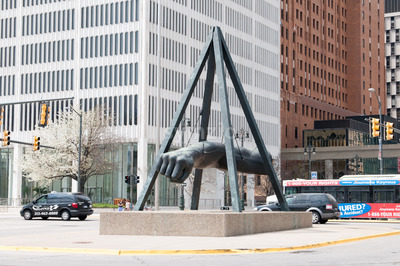 DETROIT, MI - MAY 8: The Fist, a monument to Joe Louis in Detroit, MI, shown here on May 8, 2014, is the work of sculptor Robert Graham. 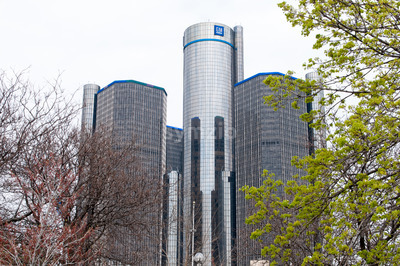 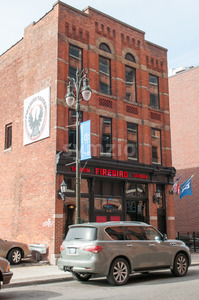 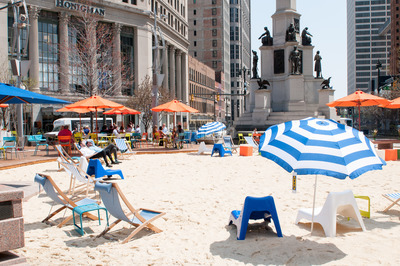 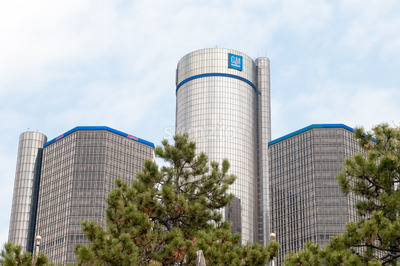 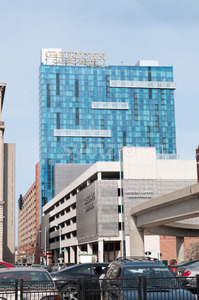 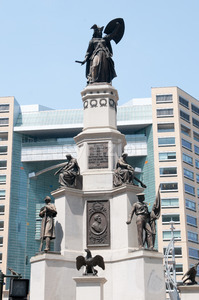 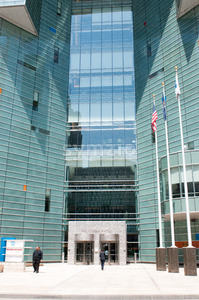 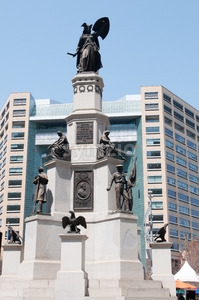 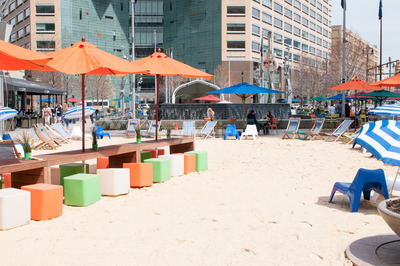 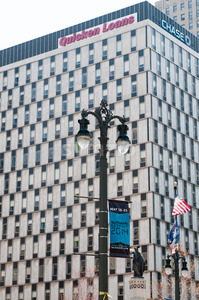 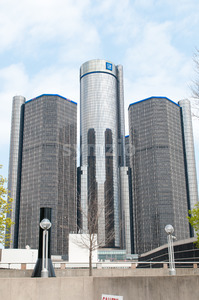 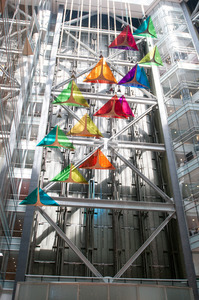 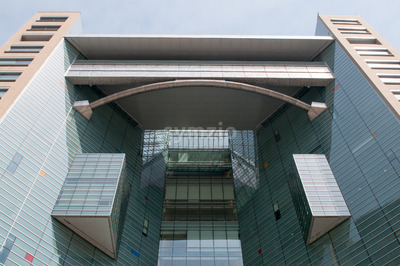 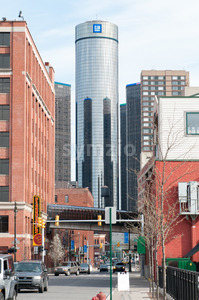 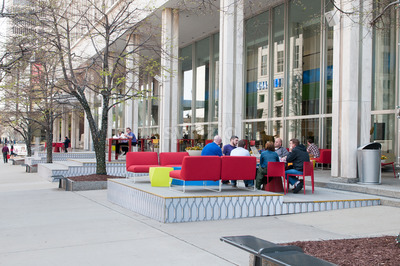 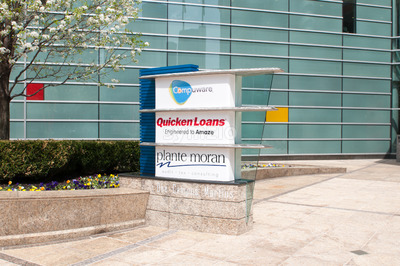 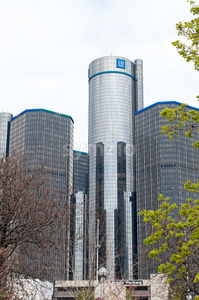 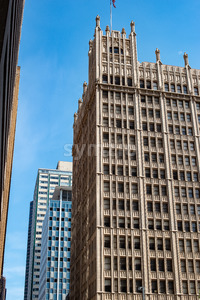 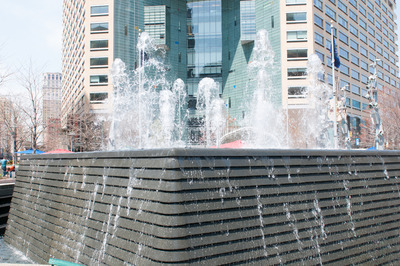 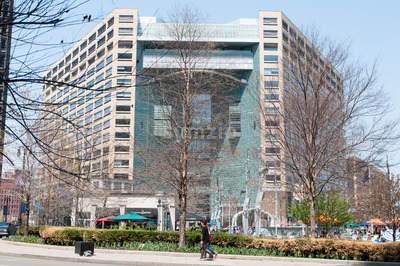 DETROIT, MI - MAY 8: Looking from the ground at one of Detroit's new office buildings, One Campus Martius, Headquaters of Compuware and Quicken Loans. 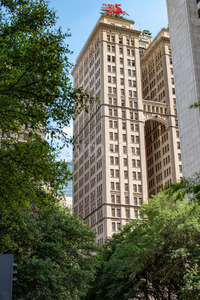 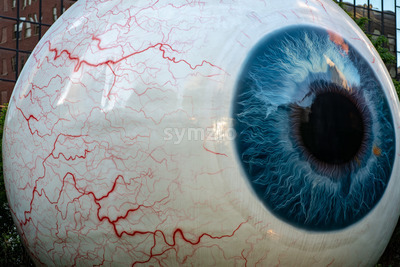 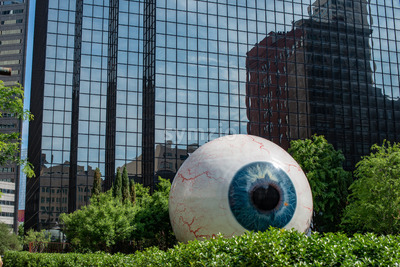 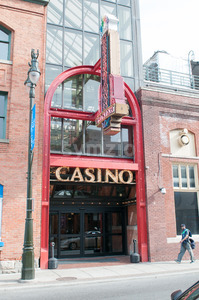 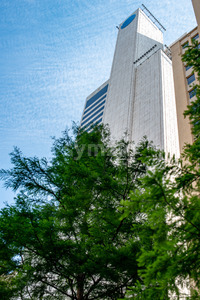 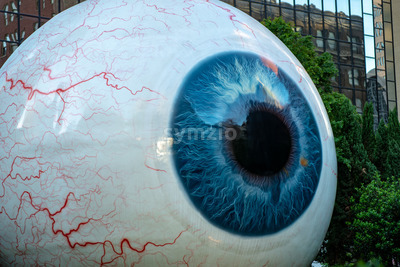 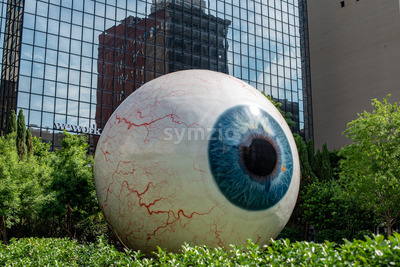 Dallas, Texas - May 7, 2018: The Eye is a statue in downtown Dallas, Texas located at the Joule Hotel.